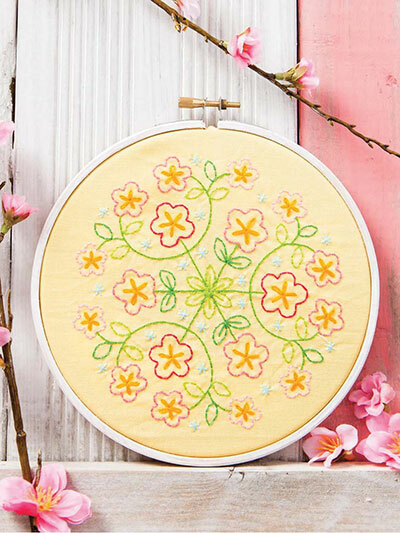 Test your embroidery skills with these calming designs! 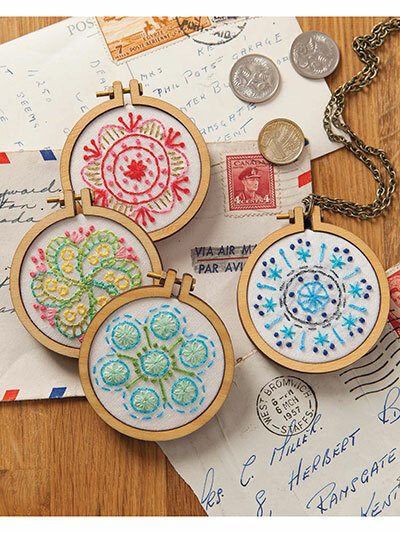 Embroider 24 beautiful, meditative mandalas with stitch diagrams and keys that are easy to follow. 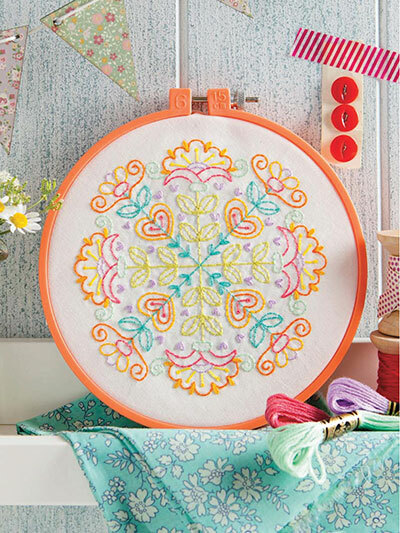 Only 10 stitches are used to make all the motifs, and each is explained and accompanied by clear, step-by-step instructions. 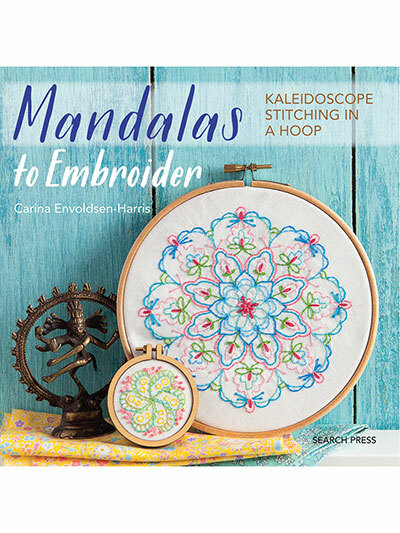 There is also advice on how to use your stunning mandalas to embellish myriad accessories and items such as shoes or tote bags. 80 pages. I have just received my order. The motifs are iron-on transfer paper and look like you could get 6 or 7 transfer on each motif (the ink is dark and heavy) Each motif is shown in full color and the instructions are really step-by-step - so a beginner would have no problems. I am looking forward to doing each mandalas in different colors.